AMCAS opens in less than a month! Need some help getting rolling on that personal statement? For only $49, our Express Review Service can help you gauge whether your writing and ideas are on the right track. AND YOU DON’T NEED A POLISHED DRAFT TO BENEFIT FROM THIS SERVICE. Our feedback can help you see where to build out or focus your draft. This is one of the best deals going for a personal statement review by an experienced admissions editor. Extra bonus (for a limited time only): If you decide later that you’d like to purchase a more comprehensive editing package, we’ll deduct the cost of your Express Review. Win! Can I talk about my family in the personal statement? Our families often inspire our choices. But is it really appropriate to talk about family in your essay? Scenario 1: Some aspect of my family’s history is fascinating and unique. → Did your family’s history directly impact your education and/or personal development? → Will this influence the way you someday practice medicine? 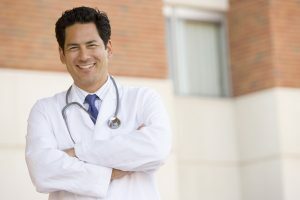 → If yes, tell an interesting story that summarizes, in a nutshell, what happened and then connect that to a patient care story (or some other “eureka moment”) that helped crystallize your decision to pursue medicine. → Remember to keep most of the focus on what you learned and how that translates into action. Scenario 2: My family is not particularly unique, but I love them and they inspired me. → Did you do something unusual or remarkable as a result of their encouragement? → If so, tell a story; that’s your focus, not your family. You might briefly mention them, but that’s about it. Scenario 3: My family kind of let me down, but I have achieved a lot in spite of them. → Did you achieve what should have been impossible, given your circumstances? → If so, describe some of those obstacles (Tell a story!) and how that experience made you stronger. Don’t focus on how others disappointed you; tell your story without blaming or accusing. Scenario 4: My family introduced me to the field of medicine. →Do you have a parent (or other immediate family member) who is a physician? → You might briefly allude to that, but avoid making it a central focus. For example, you might mention working summers in your mother’s practice. No need to chronicle your parent’s journey to medicine, or education, or life philosophy. This essay is about YOU, not them. Scenario 5: My close family member faced a life-threatening illness. → Were you extensively involved in their care or affected by their diagnosis? → Did this forever impact your view of medicine? → Are you comfortable talking about the experience and providing the basic details (type of illness, outcome, etc.). → If yes, then you can mention it. 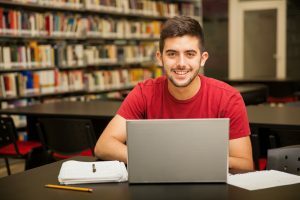 But try not to devote more than one paragraph to the subject, and make sure it connects to the other main points of your essay. Scenario 6: Someone in my family told me I should be a doctor. → Don’t mention it! 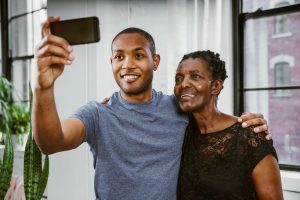 Even though our loved ones influence our decisions, you don’t want to send the message that you are primarily swayed by others’ preferences or pressure. Working on your personal statement outline? Not sure what to include? Here’s a template to get you started! 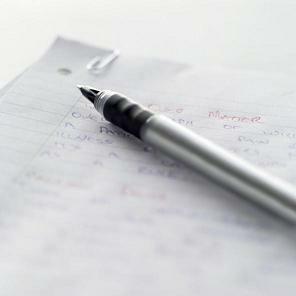 In high school and college, we were instructed to formulate a complete outline prior to writing. Solid advice, but sometimes it can leave you feeling a little trapped, especially if you aren’t exactly sure of your main points. Instead, try this model for “backing in” to your essay. Work through these four main questions, allowing several minutes to write all you can about each. Let your ideas flow fast and freely. No limits! What have I accomplished that I am proud of? This can be ANYTHING! Maybe you’ve won an engineering competition, organized a fundraiser, tutored the neighbor kid through calculus, served in the Armed Forces, learned to play the guitar with one hand, or coached youth sports. It really doesn’t matter what it is, just that you are passionate about it and willing to connect those skills/aptitudes to the medical field. Once you’ve brainstormed a list, circle the accomplishments that really get you “revved up.” Ideally, you want to focus on things in the personal statement that you will enjoy talking about during interviews. List a few moments from each of those circled experiences that stand out in your memory. What are my core ideals and personality traits? Write a list of traits, and then circle the qualities that are most important to you. Connect these to your accomplishments. Your ideals and personality traits are usually expressed two ways in the personal statement: through your choice of accomplishments/stories and through your unique writing voice. 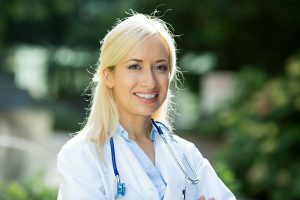 What kinds of clinical experience do I have? Hopefully, you have volunteered or shadowed or worked in healthcare in some capacity. It’s kind of important! So be sure to reference that in the personal statement, even if you don’t spend lots of time on it. Next, see if you can find some connections between what you’ve seen in a clinical setting and the main topics in #1 and #2. How did I learn these things about myself/medicine? Briefly line out the key moments in your life that shaped you into the person you described above. Arranged chronologically, you have the story of your journey to medicine. Remember, most personal statements are roughly chronological. If you’ve followed these steps, you’ve basically worked backward into your outline. Now just connect the dots and streamline it into a concise 5300 (or 4500) character document! Medical School Personal Statement Tip: Should you identify a preferred specialty in your essay? You may know exactly what sort of practice you’ll have someday. Still, resist the urge to announce it in your AMCAS, AACOMAS, or TMDSAS essay. This is especially true if you favor a very narrow, competitive field. Why? Because it takes some serious chutzpah to declare that you will be a urologist or dermatologist before you’ve taken a single class. Yes, you might achieve that dream, but your reader will not think highly of your boldness. Remember your freshman year of college? How many of your peers said they were going to be doctors? How many changed their mind after Organic Chemistry? Same deal with medical school. But there are exceptions to this rule. If you have great reasons for wanting to pursue a more general path—maybe you want to be a family physician or pediatrician—and you are applying to programs that really prioritize these tracks, then go for it! 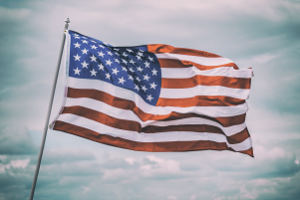 At EssayMD, we love our veterans! If you’ve served your country, you have a unique story to tell. Your path to medicine may be non-traditional, but your values and experiences can get you accepted to medical school. Our editors have helped many vets articulate their value as future physicians. Current and former service members always save 15% on any editing service. Beat the Memorial Day rush. Save on any editing package! 10% off all orders placed before Friday, May 25! Your reader doesn’t really want to hear all about medicine in your personal statement. These days, everyone is an expert on healthcare. Your job in writing a personal statement is not to teach your reader something they already know. And no matter how great your clinical experiences are, their assumption is that you really don’t know anything yet. You get to prove that in medical school and residency. For now, your reader just wants to get to know you better. We'll keep you posted on opportunities and promotional offers. © 2019 Essay MD. All rights reserved.